Booking holidays can be a hassle, but you can take steps to make it cheaper. Follow these tips when you book your next getaway so that you can indulge in more holiday spending when you get there. It might not seem like much, but going incognito when you’re booking flights can save you money on your next trip. As your history isn’t being recorded, airlines can’t keep track of your previous searches. It’s a little-known secret that some sites will use your searches to bump up the price of that Caribbean getaway you’ve been eyeing up, even if it was just idle browsing. Safari users should select ‘new private window’ by right-clicking on the existing screen or by opening a window that’s already using private browsing. We all know that holidays are more expensive during peak times like school holidays as many families look to go abroad. 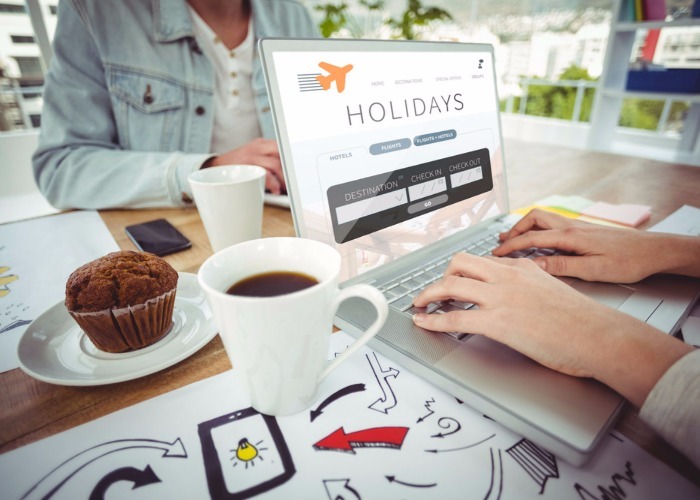 But with the growing proliferation of 'surge pricing', even a minor increase in demand for flights or accommodation in an area could significantly increase the cost of your holiday. If you're unfamiliar with it, surge pricing (perhaps best known because of ride-sharing app Uber), lets companies respond almost immediately to increased demand and increase prices after every 'sale'. So if you notice prices seem unusually high – and assuming you can be flexible on dates – it's worth doing some research on your destination to find out if there are any local events planned and changing dates accordingly. If you aren't really fussed where you go on holiday, you could save more still. Use Kayak’s ‘explore’ tool where you enter your home airport and it will let you see what airports it flies to. Google Flights has a similar feature. Momondo has an ‘anywhere’ option on its search – great fun if you don’t mind where you go. Skyscanner has a ‘whole month’ feature which means you can choose the cheapest day of the month which is suitable for you. As with anything money saving, it always pays to shop around. That goes for transport, accommodation and activities. Enter everything into comparison engines like Travel Supermarket and TripAdvisor to get a better idea of how much you could save. Momondo is a great place to look for flights as it lists budget and non-budget airlines as well as English and languages native to the country you want to travel to. Google Translate is vital here! Choosing to fly with a sister airline heading along the same route could save you cash when you're booking. Flying direct from London and New York, for example, you will find American Airlines flights operated by BA and vice versa, where the two airlines sell tickets at different prices. The same goes for Austrian Airlines and United. These aren't just brand names - the quality of service can be noticeably different even on partner airlines. Skyscanner should help you figure this out, by arranging flights in order of price and indicating when a flight is operated by a different airline. There’s a knack to getting the cheapest deal, depending on where you want to go. Research from flight comparison services like Skyscanner and Kayak regularly try to pinpoint the cheapest times to fly. According to Skyscanner, the best time to book flights to New York is mid-April. This doesn't just apply to flights: read our guide on how to cut the cost of your next cruise holiday. It'll show you the best times of year to book. Conversely, booking last-minute can knock a load off the price of your holiday too. In one sense, ‘late’ means no more than eight to 10 weeks before departure as that’s when the bargains kick in. However, if you want to go proper last-minute, try the obvious lastminute.com. Although you might not have much control over where you travel to or sleep, at least it’ll be that bit cheaper. A real winner for travellers who like surprises. Bigger parties could save a fair amount of cash if they go for a villa instead of a hotel. They’re more flexible and are super-cheap if everyone in the group shells out an equal amount. They’re more fun too. With self-catering and no other guests to worry about, it provides an escape from the restrictive, limiting nature of a hotel. They tend to be rented on a weekly basis rather than a daily one, which can also work out cheaper. And that’s before we go into the money saved by eating in. Villas aren’t without their risks though. Make sure you don’t fall victim to a scam by reading Holiday villa scam – how to stay safe. We always say it: haggle. It can make a real difference to the price of your trip. It works best with package holidays, especially if you book in advance. The more elements in the package, the more opportunities you have to bring overall the cost down. Just be aware that travel agents aren’t huge fans of haggling so it’s best to try and keep them on-side. Be friendly and charming, otherwise you might put them on the defensive. Get more tips at How to haggle and save a fortune.